With so many ideas and options available, designing a new organization system can be overwhelming. 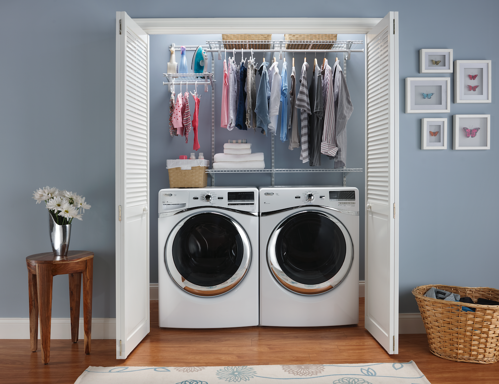 To make this process easier, we’ve cut out a few steps for you with pre-designed wire and wood closet kits. Complete with everything you need, these kits will help you be on your way to organizing in no time! If you’re interested in installing a versatile wire closet, consider our assortment of ventilated wire shelving kits. 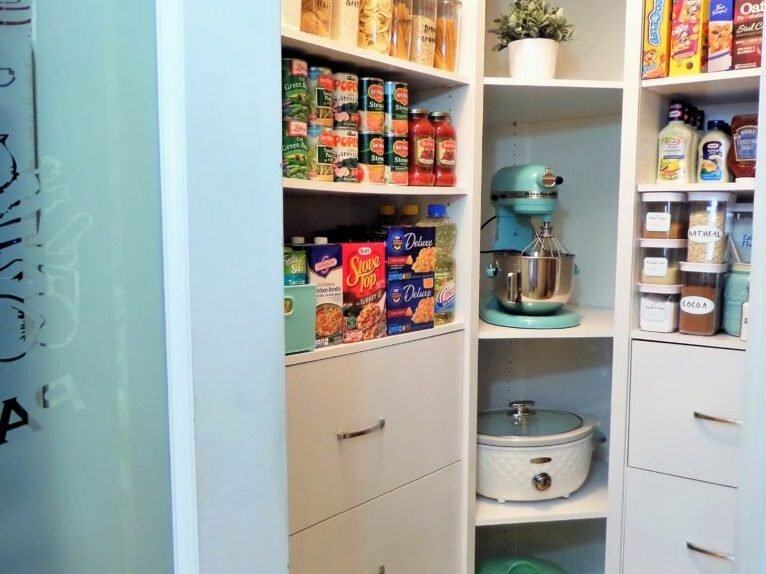 Utilize every inch of space with an adjustable ShelfTrack kit, then customize it further with add-on accessories like a 4 Drawer Kit or shoe racks. Or, create something more permanent with a Fixed Mount system. These organizers help promote air circulation and allow clothes to breathe, making them great for bedroom and coat closets. 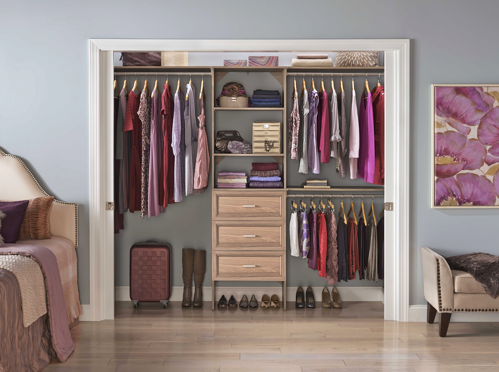 Our selection of wood closet kits makes it easy to have a dream closet without the hassle of designing it yourself. 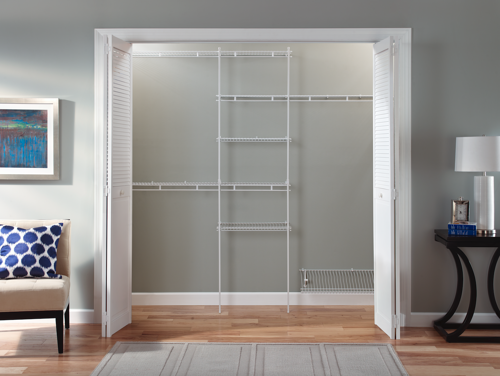 For a glamorous and beautiful closet space, consider our SuiteSymphony kits. 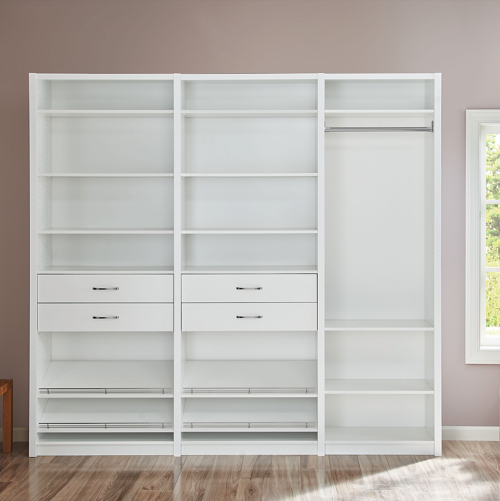 Available in multiple finishes, they can be used in reach-in closets or combined together to create a unique walk-in. 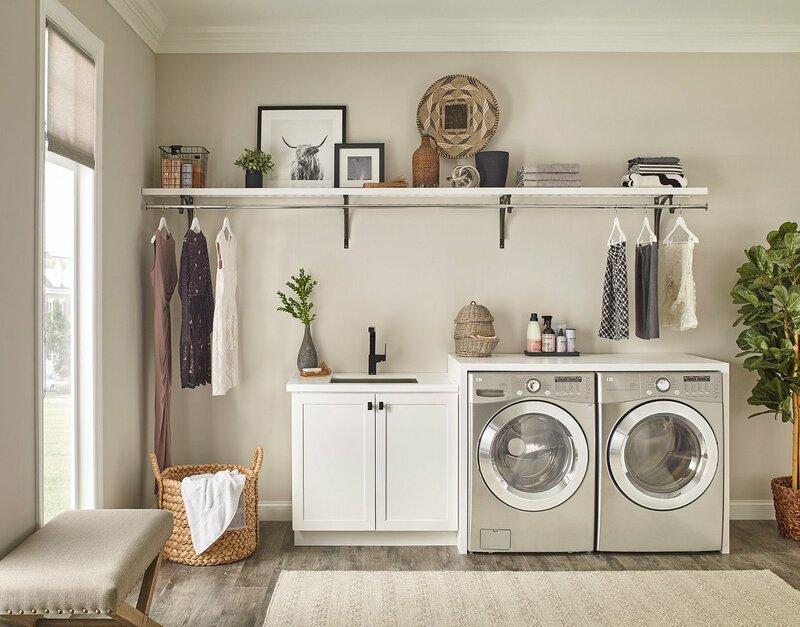 If you’re looking to give more function to an unused nook in your home or simply want designer-inspired upgrades for your closet, our collection of SpaceCreations kits are one click away. Inside or outside of the closet, these kits are completely DIY and can give your space a custom, seamless-look. Ready to find your perfect closet kit? 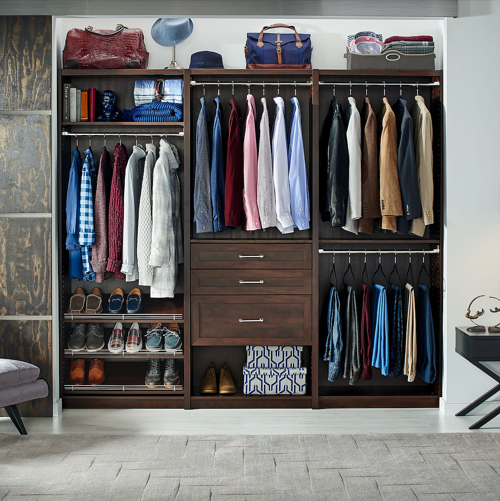 Gather your measurements and start exploring on ClosetMaid.com, and be sure to check out all of our other channels for more organization inspiration: Facebook, Twitter, Instagram, Pinterest, YouTube, Houzz and Flickr. Note: Some shelf cutting may be required to fit your closet. 0 Comments on "One Click Organization – ClosetMaid Closet Kits"